An interdisciplinary approach regarding child development evaluation and treatment is very important. The center provides biological, psychological and educational collaboration. We encourage team collaboration with health specialists addressing the multiple underling conditions that can be associated with developmental disorders and evaluating airborne/food/ environmental sensitivities/allergies/toxins that can influence a child's health and development. Understanding the biological-social link is not a new idea. Survival of species has always been dependent upon living in harmony with the world. Environmental influences affect digestion, respiration, muscles, skin and other physiological functions and also impact mental functions of attention, memory, speech, language, sensory/motor and mood. Metabolic processes that govern global physiological health are closely linked with brain metabolism: brain chemistry (neurotransmitters) and electrophysiological impulses (brain wave rhythms). Some children developmental difficulties can be at risk for environmental sensitivities. This link is usually related versus casual in origin. Everyone's system is unique, "one man's food is another man's poison" (Hippocrates). Seek qualified health professional advice to guide these biological-environmental sensitivities. How your child feels physically and mentally is key to optimal growth and well being. Neuroscience specialists at the clinic provide educational collaboration with multiple school districts. Contact with schools is available as to help in developing an educational plan which best meets your child's needs. This center provides educational collaboration to help develop educational plans and classroom accommodation/support plans that best meet your child's needs. 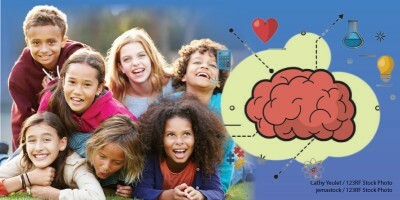 We emphasize bringing "brain scans to educational plans". "Education of an individual aspires to an ideal of service to our fellow man and needs to take the place of power and outer success."